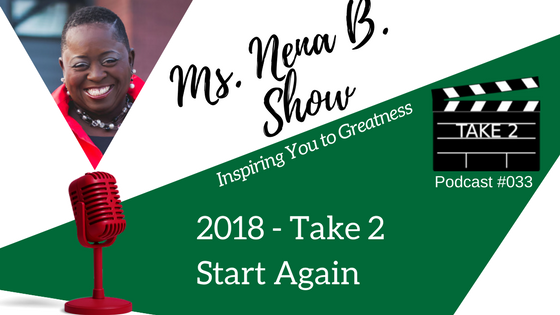 Podcast #033 – 2018 Take 2 – Ms. Nena B. Do you feel like 2017 just carried over. That it really didn’t stop. You didn’t get that first start of a new year that you expected. Well, time to TAKE 2 on 2018. You get to start again. Set your goals and move forward. Happy New Year.